Another remarkable feature of the film is its cinematography. ‘Burning Birds’ has been entirely shot on location in various parts of Trincomalee. Kalinga Deshapriya Vithanage is the director of photography. He has been associated for long with renowned cinematographer Channa Deshapriya and could be regarded as a protégé of his namesake. Kalinga has worked with Channa on some of renowned film director Asoka handagama’s films. I asked Asoka handagama about how Channa and he “discovered” Kalinga. Asoka replied thus – “We found Kalinga Deshapriya, when I – together with Channa – was shooting the teledrama “Synthetic Sihina ” and the film “This is My Moon ” in Mihinthale and Anuradhapura region. That was his home town and he had come to see our shoot. He gradually joined in our art department as a helper and Channa brought him to Colombo to work and study under him. He worked in Channa’s camera department before he applied and was selected by the Asian Film Academy in Busan, South Korea to follw a course of cinematography. That was how Kalinga Deshapriys started his career. We are very proud and happy about his developing into a first rate cinematographer today. 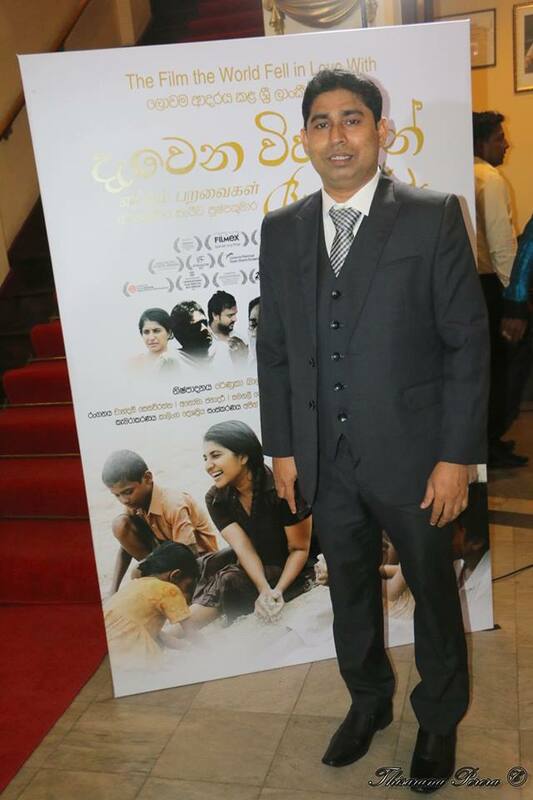 Sanjeewa Pushpakumara born on May 5th 1977 has a BA degree from the Sri Jayewardenepura University and an MA in Mass communications from the University of Kelaniya. After following a diploma course in film making at the Sri Lanka national film corpration, Pushpakumara obtained a scholarship to south Korea where he received Master of Fine Arts (MFA) in film making from the Chung-Ang university. Initially Pushpakumara wanted to be a TV presenter. He did work for a while as a TV presenter and also dabbled in TV production and script writing. Gradually he got attracted to making feature films. Pushpakumara is on record that the three films which influenced him into pursuing a film making career were Asoka Handagama’s “Me and my Moon” and Prasanna Vithanage’s “Death on a Full Moon day” and “Walls Within”. Although he never worked with Handagama or Vithanage the two directors were his inspiration. Apart from his two feature films Pushpakumara has also made three short films namely”Wings to Fly”,”Touch” and “An Encounter in the Woods”. Sanjeewa Pushpakumara’s maiden feature film venture ‘Igillenna Maaluwo’ (Flying Fish) was banned in Sri Lanka by the Rajapaksa regime. 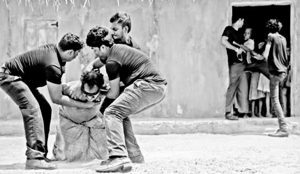 It was not even allowed to be screened at a limited French film screening in Colombo. The times have now changed and Sanjeewa’s second feature film ‘Davena Vihagun’ (Burning Birds) has been cleared by the censors and is now running in Sri Lankan theatres. Furthermore it is being screened through the Ridma circuit run by the National Film Corporation. From ‘Flying Fish’ to ‘Burning Birds,’ Sanjeewa Pushpakumara has demonstrated that he is indeed one of the finest film makers in contemporary Sri Lanka.